Benefiting from a corner mature plot with substantial rear garden and there is spacious accommodation which is of good standard throughout. The property briefly comprises of porch, reception hall, downstairs cloaks/wc, living room, dining room, games room, extended breakfast kitchen/dining area. To the first floor is a galleried landing leading to four well proportioned bedrooms, and a family bathroom, Outside is the attractive large gardens to front side and rear. 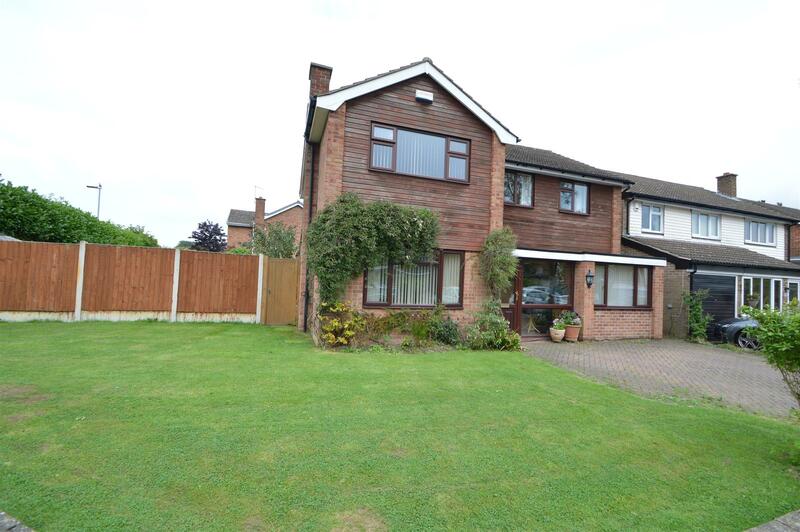 We urge you to arrange your early viewing to appreciate the location and mature plot this property has to offer. a large extended open plan kitchen/ diner complete with a range of fitted drawer and base units with rolled work surfaces over, incorporating into a breakfast bar area with inset bowl and a half stainless steel sink unit with mixer tap over, integral dishwasher, integral stainless steel electric oven and grill with four ring gas hob and stainless steel extractor hood over, tiled splashbacks, integral fridge freezer, chrome spotlights with led lighting, large double glazed window overlooking the rear garden. Can be used as a side porch or games room or study area. With double glazed high level window to the front elevation, obscure double glazed door to the front elevation, tiled effect flooring, central light and door leading to the Garage. Can be used as an extra bedroom or games room or study/office area. Fitted with a white two piece suite comprising low flush w.c and wall mounted wash hand basin with mixer tap over and tiled splashbacks, obscure double glazed window to the side elevation, ceiling light, vinyl flooring. With a range of matching base and wall units with rolled work surface over and inset stainless steel sink unit with mixer tap over, tiled splashbacks, plumbing for washing machine, ceiling light, vinyl flooring, double glazed window to front aspect, radiator. With double glazed window to the front elevation, built in wardrobe, and radiator. With double glazed window to the front elevation, and wood effect laminate floor, radiator, carpeted. 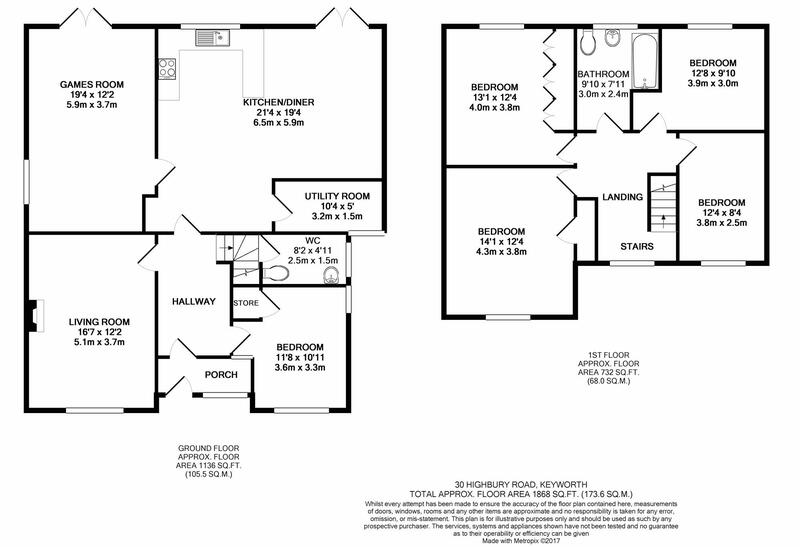 Refitted with three piece suite comprising bath with overhead shower and screen, low flush w.c and pedestal wash hand basin with mixer tap over, chrome towel radiator, obscure double glazed window to the rear elevation. Mainly laid to lawn with large decking area. There are well stocked flower borders housing a variety of mature bushes and shrubs. Top paved patio area. Outside water tap. External power point. Side access gate leading to the front.